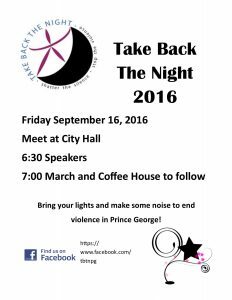 The annual march to end violence in Prince George is taking place Friday September 16th! 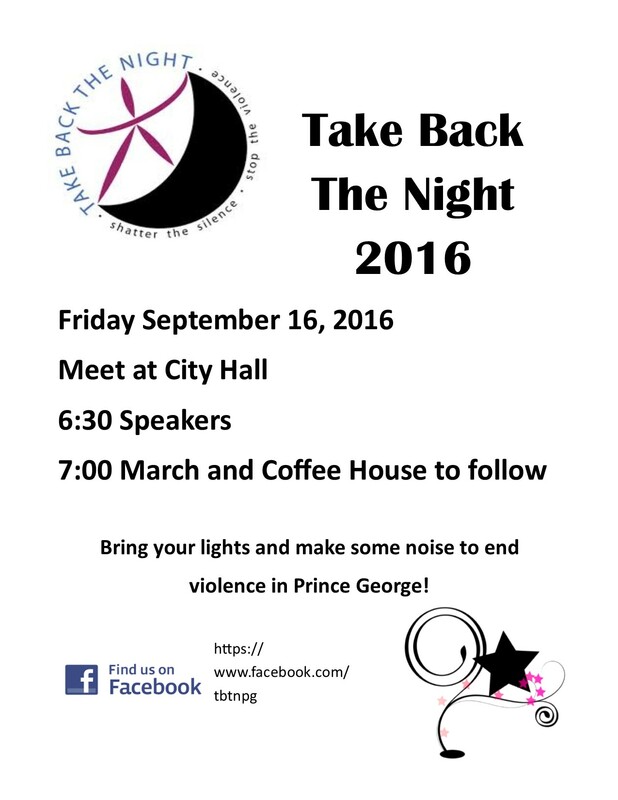 The march will start at City Hall @ 6:30 PM. Bring your flashlights, friends and family, and your voice.